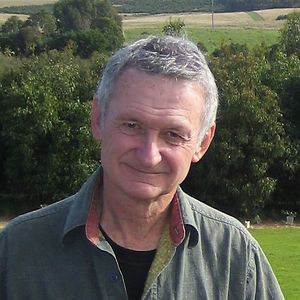 Leigh Hobbs is an Australian author and illustrator. 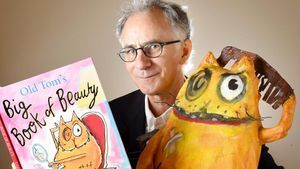 He is the best-selling author of more than 20 books, including the iconic Old Tom, Mr Chicken Goes to Paris and Horrible Harriet. 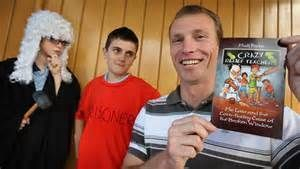 Leigh Hobbs is highly acclaimed for his work in Children's Literature and was this year chosen as the Australian Children's Laureate for 2017. To develop an understanding of the special characteristics or attributes of the characters created by Leigh Hobbs, identifying what makes each one unique. To further improve writing skills, with a focus on the use of descriptive language and WOW words to 'bring their writing alive'! To improve drawing skills and to further develop the confidence to 'have a go'! Foundation, Year 1 & 2 will read Horrible Harriet, Old Tom, Fiona the Pig and Mr Chicken Goes to Paris (picture storybooks and the Storybox website). 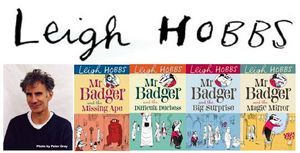 To conclude this unit of work, students will be encouraged to create a character for Leigh Hobbs' next book. Write a short description of the character and explain why it is so unique. 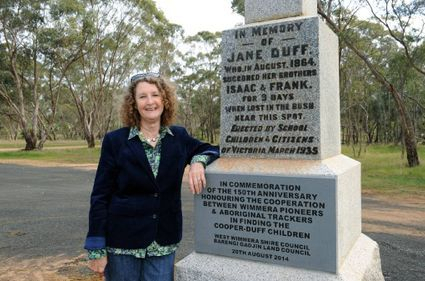 In August 1864, three children (Isaac-9, Jane 7, Frankie-3), survived nine long days and eight cold winter nights in the desolate scrub of the Wimmera region of west Victoria. The children walked for nearly 100 kilometres with no food and very little water. Against all odds, they were found alive. This is a very inspiring story! 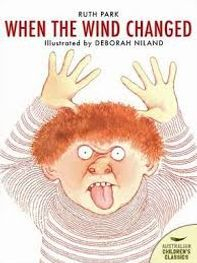 To develop an understanding of the importance of using emotive language to create the mood in the story. To improve writing skills with the use of appropriate descriptive language to describe setting and main characters. To be able to retell the experience, the events and feelings of a chosen character from the text through his or her point of view or perspective. Identifying the letter that belongs on the spine label of a picture storybook. Further develop their understanding of the Dewey Classification System. Be able to order a selection of non-fiction books correctly on the library shelf. Demonstrate the ability to write the correct call number on spine label. Create a Deweyland Theme Park. 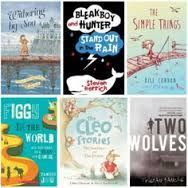 Explore the CBCA shortlisted books for 2017 and complete related activties. 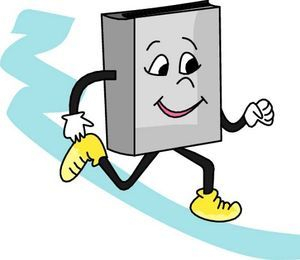 Prepare for BOOK OLYMPICS to be held during Book Week. Study four popular Australian authors- Aaron Blabey, Nick Bland, Libby Gleeson, Alison Lester. These are to be the team names for the BOOK OLYMPICS. All students are to make a flag with information and pictures about their author. Students are to walk in with the flag during the Opening Ceremony. Students will be encouraged to dress up. 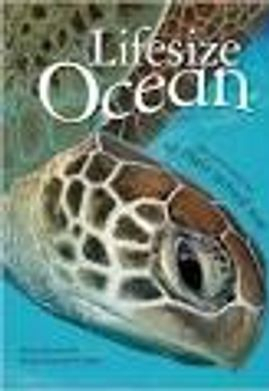 Students will explore the 'Wonders of the Sea' using fiction and non-fiction books. They will identify the various features of fiction and non-fiction books...and will be able to explain that fiction books tell a story and non-fiction books contain factual information. 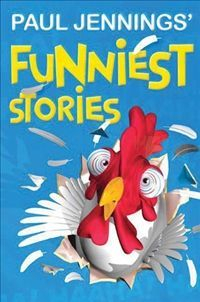 Students will also learn that a story can also contain many facts and that an author of a fiction book researches widely before writing a story to ensure that the information is accurate. The focus will be to explore unusual sea creatures and learn about the plants that also grow in the depths of our oceans. 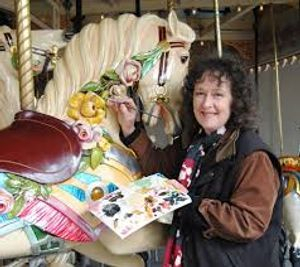 The students will also learn about Mellisa Lane who is a local author who has recently written and illustrated her own picture storybook called 'The Maremma and the Mermaid'. We will focus on what inspired Mellisa to write this book and the process involved in finally having her work published. We will explore her main characters in her story and particulary focus on her fantasy character...the mermaid. Mellisa will also spend time with each class during Term 2. Students from Years 3-6 will also be learning about the authors who live in our local area. This will include Mellisa Lane, Matt Porter, Jo Hyland and of course...Paul Jennings! 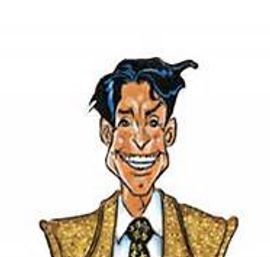 Students will explore the Crazy Relief Teachers Series written by Matt Porter with a focus on characterisation. They will look at the character traits of the crazy relief teacher in each of the books and gain an understanding of what makes this series appealing to the reader. 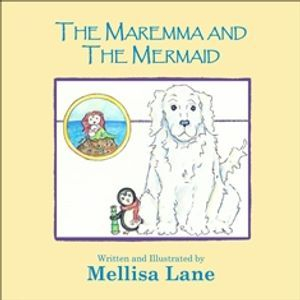 The students will also learn about Mellisa Lane, another local author who wrote 'The Maremma and the Mermaid'. 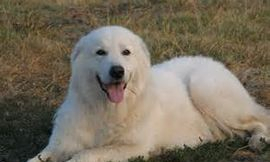 They will gain an understanding of how important it is to research about maremma sheepdogs before writing such a picture storybook. 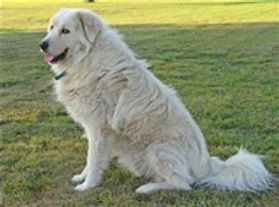 Students will complete a research project on the maremma sheepdogs. 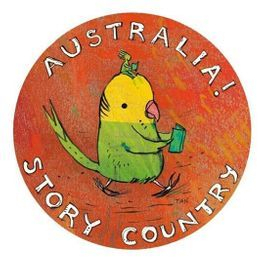 Mellisa Lane will also visit each Year 3-6 class during Term 2 and explain the process of writing a picture storybook...from the very beginning to publication! LOTS OF SHORT STORIES BY PAUL JENNING WILL ALSO BE READ THROUGHOUT THE TERM. 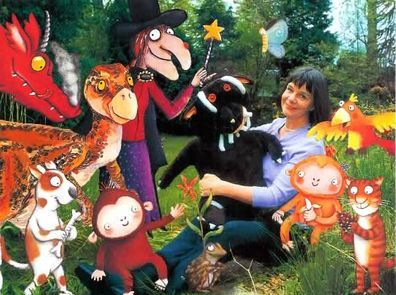 HAVING FUN WITH JULIA DONALDSON…THE CREATOR OF THE GRUFFALO! The students will explore the many wonderful stories written by Julia Donaldson. They will compare the main characters from two of her popular books the Gruffalo and Zog…then create a unique fantasy character of their own. Students will learn to love her books of rhyme and will be eager to join in. They will design a new hat for hippo and predict what the ladybird heard on the farm. Students will develop an understanding of the messages that are portrayed in her stories, particularly the powerful message in 'The Paper Dolls'… it doesn't matter if something you treasure goes away, it will always stay in your heart and your memory. They will then create their own five paper dolls holding hands- dressing them and giving each a name. The DVD of 'Room on a Broom' will be shown and students will make their own broom out of cardboard and straw, putting all the main characters on the broom…and of course we will have to make room on the broom for ourselves. A big book of 'Sharing a Shell' will be shared, emphasising the importance of getting along and cooperating with each other. The students will also observe the behaviours of a real life hermit crab. Students will be treated to the classic story of Charlotte's Web by E.B. White A children's story that is well loved and has certainly 'stood the test of time'…published back in 1952. 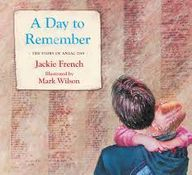 This novel tells the story of a pig named Wilbur and his friendship with a barn spider named Charlotte. Students will be encouraged to make text to text connections, text to self connections and text to world connections. They will further develop their prediction skills and build on their vocabulary. "THROUGH THE EYES OF HARRY POTTER!" 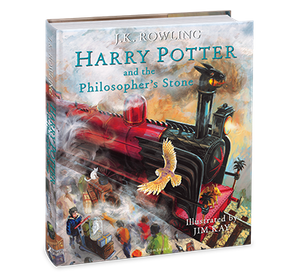 The students will explore the world of Harry Potter through the picture storybook edition of J.K Rowling's first novel in the series…'Harry Potter and the Philosopher's Stone'. Students will put themselves in the shoes of Harry Potter and create a diary depicting life through Harry's eyes. They will complete diary entries for each chapter, as well as portray what they visualise in the form of drawings. Students will be encouraged to make predictions and explore the type of language that is used in a fantasy story. They will be encouraged to ask lots of questions and find many answers…What makes a fantasy story work? What do you notice about the characters and the setting? What inspired J.K. Rowling to write such a story? Where would her ideas come from? Click on underlined title- this is the link to each unit of work. 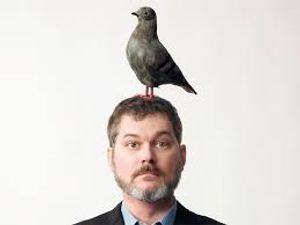 "DON'T LET THE PIGEON DRIVE THE MARC VAN!" 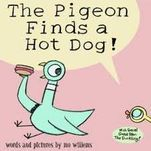 Students will explore the humour of Mo Willems, with a focus on persuasive writing and the use of speech bubbles. 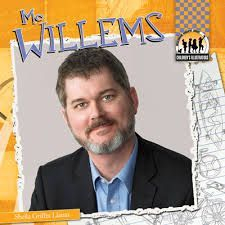 They will also complete some simple illustrations of the characters created by Mo Willems and use these when creating their own class picture storybook. Expose the students to a selection of titles from the Animal Antics series. 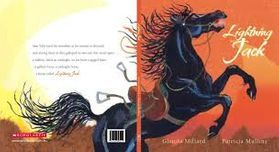 Students will identify the features of a narrative in each book that is read. They will develop an understanding of the importance of the orientation (introducing the main character and the setting), the problem (which includes the sequence of events) and the solution when writing a narrative. Students will plan and then write their own narrative about an native Australian animal. This narrative will be published in the form of a small junior novel as those in the Animal Antic series. Students will then illustrate their book. Students will view a Powerpoint Presentation created after I attended a workshop conducted by Patricia Mullins at this year's Statewide MARC Conference. 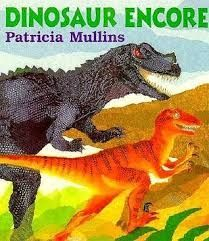 They will explore the amazing illustrations of Patricia Mullins through some of the picture storybooks she has written herself, as well as those that she has illustrated for many other authors. She is incredibly talented and creates such amazing illustrations using tissue paper and other collage techniques. The students will also have opportunity to create an illustration of their own using tissue paper. It will not be easy! 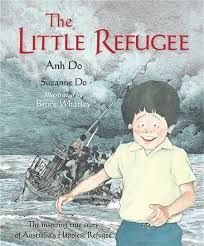 Students will learn about what it means to be a refugee. 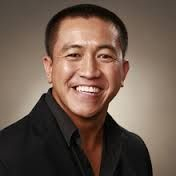 The main focus of the unit of work will be about Anh Do and his autobiography 'The Happiest Refugee'. 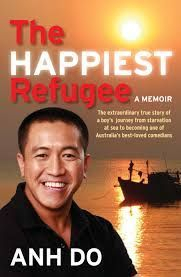 It is the extraordinary true story of a boy's journey from starvation at sea to becoming one of Australia's best-loved comedians. They will hear extracts from his national bestseller, The Happiest Refugee, and also complete a research activity using the Internet. 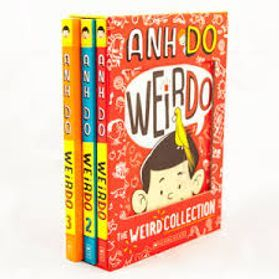 Students will gain some insight into his sense of humour through listening to some extracts from his recently published Weirdo series. 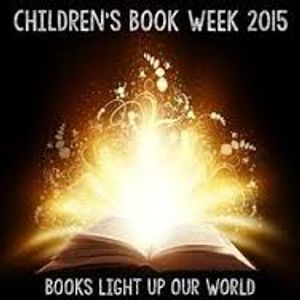 Students will participate in a range of activities relating to the 2015 BOOK WEEK THEME of 'Books Light Up Our World'! A range of shortlisted books have been selected for each level and all planned activities are appropriate for the students in the development of their literacy skills. Students will participate in a big week of celebrations, which will include dressing up as their favourite character from a book that has lit up his or her life! 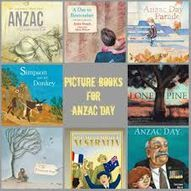 At the beginning of Term 2 the students' will explore the significance of ANZAC Day through a range of suitable wartime picture storybooks. 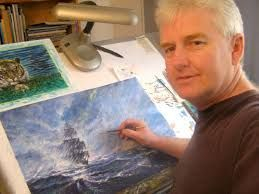 This will be followed by an author/illustrator study of Mark Wilson, who will be visiting at the end of this term. 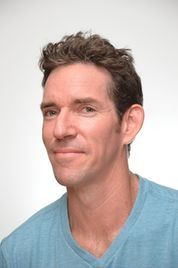 Mark Wilson writes stories about war and also loves to write about nature. He is passionate about conservation and protecting the native Australian species. Students will also learn about the dangers facing our native Australian species through his picture storybooks. Students in Years 3-6 will continue to mark the centenary of Gallipoli, with a focus on the amazing literary work of Mark Wilson prior to his visit this term. 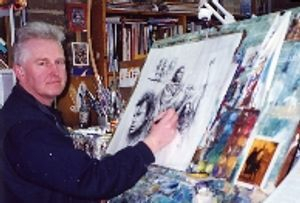 Mark Wilson is well known for writing war stories for children, as well as picture storybooks about nature and environment. Some focus will be on his love of nature and the importance of caring for our environment. 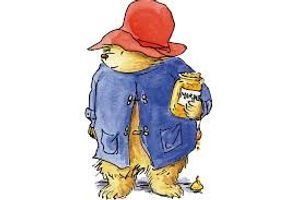 Students will have lots of fun as they learn about the many adventures of Paddington Bear. They will complete a range of literacy activities as they complete a character study of this lovable bear. This will include responding to text and making connections with students' own experiences. They will closely examine the features of the character Paddington Bear and look at how his character is depicted in a variety of storylines. There will also be focus on exploring different types of bears using non-fiction books. 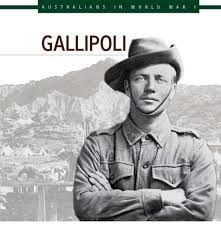 Students in Years 3-6 will mark the centenary of Gallipoli by completing a unit of work relating to Australians at War. The unit of work will be adapted to suit all students from Year 3-6. 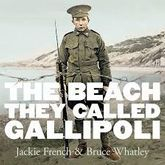 The students will also be exposed to a range of picture books that are specifically about Gallipoli. They will learn how authors and illustrators make the these war stories absorbing and hold the readers' interest. They explore the type of language is used to create the mood and capture the emotion. Students will participate in a range of literacy activities relating to alphabetical order. They will further develop their understanding of how picture storybooks are ordered on the library shelf. Students will further develop their understanding of Melvil Dewey and his role in creating the Dewey Decimal Classification System. Melvil Dewey was an American librarian who invented it in 1876. Students will learn that this is a numerical system for the arrangement of subjects of non-fiction books, and it classifies book by dividing them into 10 main categories. Each category is represented by figures beginning with 000 and going on to 999. Each number stands for a special topic. Every book is given a number and is put on the shelf in number order. The students will participate in a range of activities that will help build their knowledge of the Dewey Decimal Classification System. They will be able to identify the category that non-fiction books belong, what is written on the label and where it belongs on the library shelf. THEME: RAIN, HAIL AND SHINE! 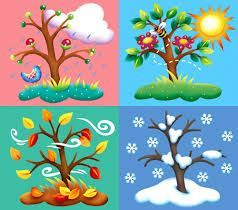 This unit of work will focus on the months of the year and the certain defining characteristics of each season. A range of picture storybooks, big books and non-fiction books will be used in the teaching of this topic. The students will complete sequencing, classification and comprehension activities relating to the seasons of the year. THEME: A STEP BACK IN TIME! This unit will take the students on a journey back in time and will focus on the significant events that have occurred in Australian history. The students will further develop their understanding of our very rich history and the significant events that have helped shape our nation. They will learn about the discovery of Australia, the arrival of the convicts, the gold rush era, Federation of Australia , World War I and World War II and the Great Depression. The Our Australian Girl series and the Do You Dare? series will be the main novels used in the delivery of this unit of work. 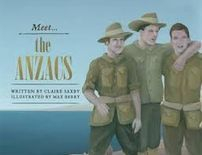 These are recently published and give a realistic portrayal of events occurring in Australian history through the eyes of young children. They are specifically written for primary age students. 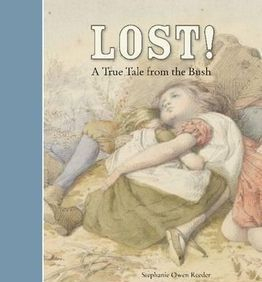 Picture storybooks will also be used to cover some aspects of our Australian history. Lessons will be adapted to suit each year level and students will complete a timeline portraying the significant events that have occurred. 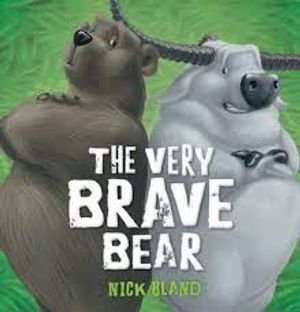 Students will enjoy the wonderful writing of Nick Bland who wrote the very popular picture books series: ‘The Very Cranky Bear’, ‘The Very Itchy Bear’, ‘The Very Hungry Bear’ and ‘The Very Brave Bear’. The children will learn to appreciate his style of writing with a focus on feelings and the use of descriptive language. I am going to indulge myself and share some of my favourite bear books with them. Even now, I still love the Berenstain Bear series and can’t wait to share ‘The Bike Lesson’ and ‘The Bears’ Picnic’- ‘oldies but goodies’! The children will be encouraged to bring along their favourite bear books for sharing time. 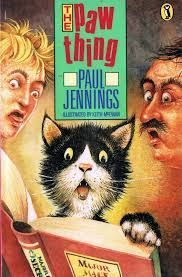 Students will complete a novel study relating to the Paul Jenning series about 'Singenpoo' the infamous cat. The focus of this study is to explore how the characters are developed and how the plot holds the interest of the reader. This will extend to an understanding of the type of writer Paul Jennings is and what makes him such a popular writer for children. 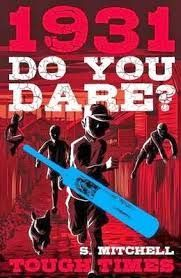 The Year 5/6 classes will be studying the work of Paul Jennings. They will be exposed to a range of short stories that have been written by this very talented author. They will be encouraged to make connections between the stories that have been read and to relate events with their own personal experiences. As part of this unit of work, the students in Year 5/6 will be visiting the home of Paul Jennings. All Year 5/6 students across the six MARC schools are participating in this excursion. As Paul only likes approximately 25 students in each group, I am organising three separate visits over the next few months. 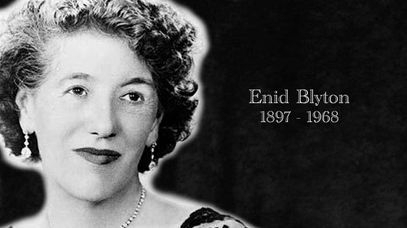 ENID BLYTON- ONE OF THE MOST FAMOUS AUTHORS OF CHILDREN'S BOOKS OF ALL TIME! The student learning this term will be inspired by the writing of Enid Blyton. Enid passed away in1968 at the age of 71. 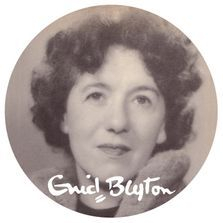 What is amazing about Enid Blyton is that her books are still extremely popular amongst children today. Over 23 million of her books were sold worldwide in 2012! She takes young children on a magical journey into a world of mystery and enchantment. I grew up with a bookshelf full of Enid Blyton's books and my own love of reading began when I read 'The Magic Faraway Tree' and 'The Adventures of the Wishing Chair'. I am looking forward to sharing some of theses stories with the students. 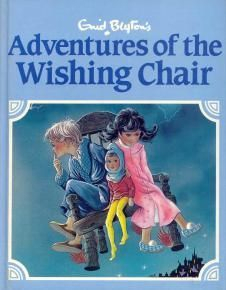 Students will be read the 'Adventures of the Wishing Chair' by Enid Blyton. The main focus of this unit of work is for students to explore the different settings, as well as identify the features of the main characters in the Adventures of the Wishing Chair. 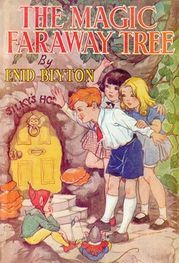 Students will be read 'The Magic Faraway Tree' by Enid Blyton. They will be encouraged to create their own imaginary land at the top of the faraway tree and write their own adventure story. Stories will be collated into a class book. Students will be viewing a documentary about the life of Enid and will complete a mini-project about her life story. They will also complete a short research project about an Australian author of their choice. Term 3 is always one of celebration! 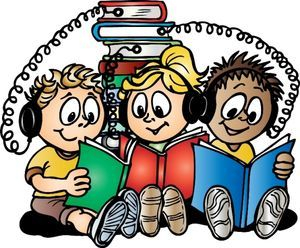 It is a celebration of reading for all MARC students across the six small schools. 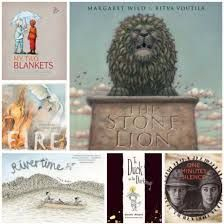 It is the term we explore the selection of books that have been shortlisted by the CBCA as some of the best books for 2013. The students enjoy listening to many of the stories and information books, as well as completing a range of literacy-based activities. They are also treatment to many art and craft activities relating to the shortlisted books. The students across the schools also celebrate Book Week with a dress-up day and lots of fun activities! The 2013 Book Week theme is 'Read Across The Universe'. 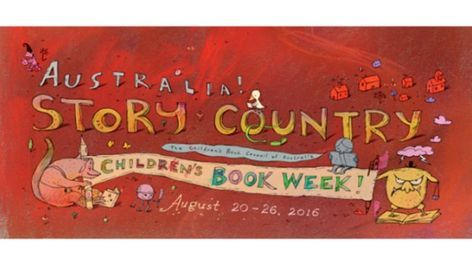 The judging of the best Australian book titles by the Children’s Book Council of Australia will also run from August the 17th until August the 23rd during book week. 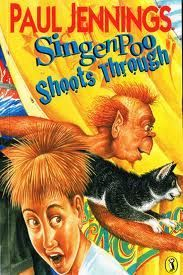 Students in Year Prep, 1,2 and 3 have continued to enjoy the literary work of Mem Fox, with a major focus on her most popular book of all time called Possum Magic. The students learnt all about the Australia as they joined Grandma Poss and Hush on their journey to make Hush visible again. They gained an understanding of the states and territories of Australia, as well as the capital cities. Students also learnt about the purpose of a map and its many features: key, compass, scale, symbols, and title. As part of the unit of work, all students attended the Possum Magic stage show at the Warrnambool Lighthouse Theatre. Possum Magic celebrates its 30th Anniverary this year. It was first published in 1983 and still as popular as ever! 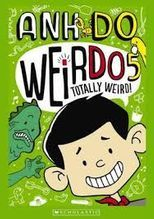 Year 3, 4, 5, and 6 students have been learning about Duncan Ball, who is the author of the popular 'Selby' and 'Emily Eyefinger' series. 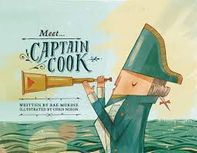 They gained an understanding of what it takes to be a good writer and how important it is that the author creates the type of characters that are going to interest young readers. 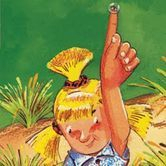 We explored why Selby and Emily Eyefinger are still so popular amongst children today and why Duncan Ball has written lots of books for each series. 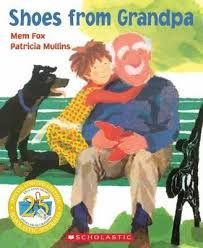 Students in Year Prep, 1, 2 and 3 have been learning about the wonderful work of Mem Fox, who is a very popular Australian author of children's books. 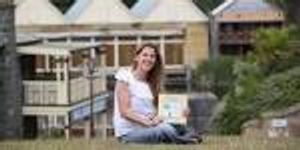 Mem Fox has written over approximately 40 books for children including Possum Magic, which has sold over three million copies and is the bestselling picture book ever in Australia. Year 3,4,5,6 students have been exposed to a range of inspirational stories about great Australians. We have been truly inspired by some amazing Australians who never gave up on their dreams, despite setbacks or even severe disabilities. The stories told of their persistence, resilience, belief in themselves, as well as extreme hard work. The stories were uplifting and encouraging, making us feel very good inside with a true understanding of what it takes to be successful and fulfil your dreams. We learnt about Bethany Hamilton, who became a National Surfing Champion, even after losing her arm in a shark attack. She never gave up on her dream. What a true champion! We were amazed by the incredible determination of Emmanuel and Ahmed Kelly, who against all odds and with severe disabilities are making their dreams come true. 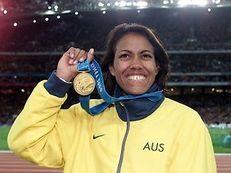 We followed Cathy Freeman's journey from her days competing at the school sports to running in front of a packed stadium at the Sydney Olympic in 2000. It was here she won her first gold medal and fulfilled her lifelong dream. 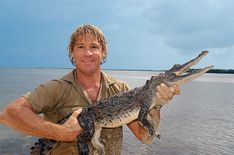 Sadly not with us anymore but a great humanitarian, who had a real for the caring for wildlife, particularly those crocs!